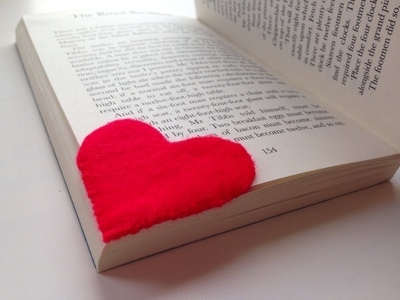 Create an easy heart shaped bookmark out of red felt for a loved one. 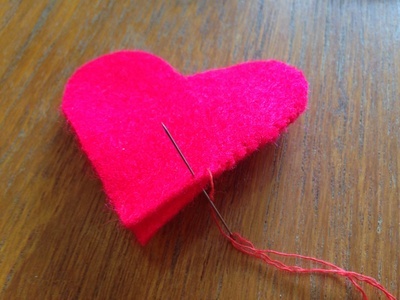 It's an ideal first sewing project and makes a great gift for Mothers Day, Valentines Day or for a grandparent. 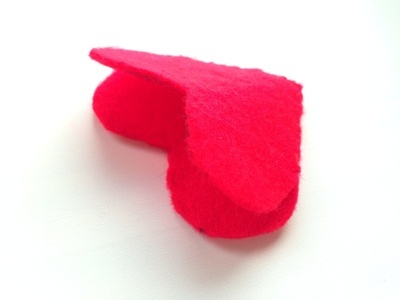 Cut two identical heart shapes out of red felt. 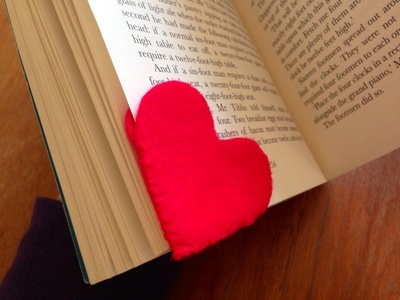 The pointed end of the heart should meet in a square and have straight edges as this is the part which will fit over the corner of a book page. 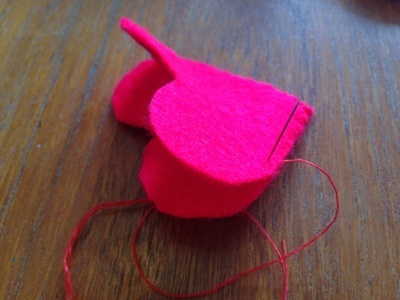 Pin the two heart pieces together and sew up one of the straight edges of the heart. Repeat with the other straight edged side. 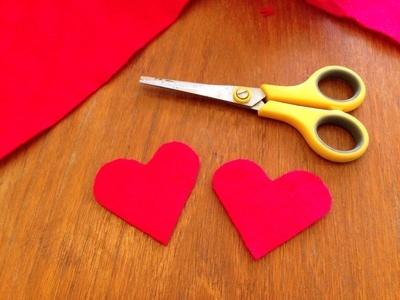 You should not have a heart shaped pocket. This fits over the corner of a book page. Try making an easy gift box or some homemade wrapping paper to package your bookmark in.